As of Friday, September 8, 2016, in the alleyway behind The Creole, there is a larger-than-life Velvet Elvis. The mural was done by Eric Schantz of Saginaw, Mich., and commissioned by Old Town Commercial Association’s own Jamie Schriner. Jamie’s flat in Old Town came with a large expanse of empty, white brick wall along the side of her garage. 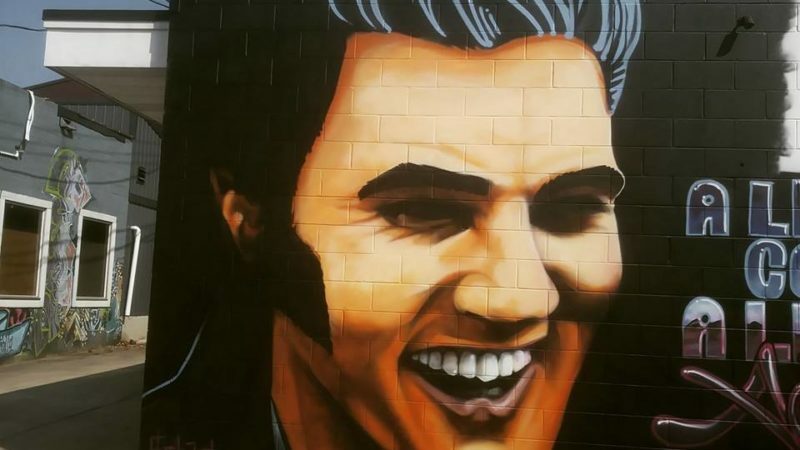 Elvis is one out of roughly 120 public art pieces that Eric has painted in his 12 years as a spray paint muralist.